„Be the change you want to see in the world“! We found a blog of an American girl living Zero Waste and were hitched. This is what we were searching for. So we looked into Zero Waste and the experiment started. 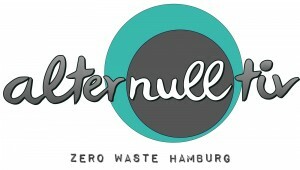 As there were no bulk stores in Hamburg at that time, we first had to search for possibilities to do Zero Waste grocery shopping. With a little time and patience everything got very easy. But going Zero Waste is a process, it doesn’t happen overnight. You change item by item in your household which you would want to be more sustainable or maybe even just give it away because you decide you don’t need it anymore. In a women’s becoming-zero-waste-process there is this moment when you realize, you need an alter-O-tive for your monthly hygiene products, because tampons and pads are causing loads of trash! 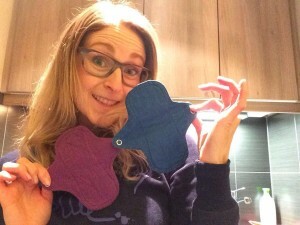 When I saw cloth pads at a friend’s house years ago I was surprised, I never knew that cloth pads even existed, and because I was using tampons I rarely used pads anyway. But when it came to first using the OrganiCup, I was unsure and wanted to have extra protection, so I searched and found Eco Femme. 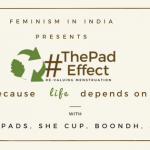 And as you know, Eco Femme is not only a producer of cloth pads; it’s an organization which supports women all over the world to have a healthier period. 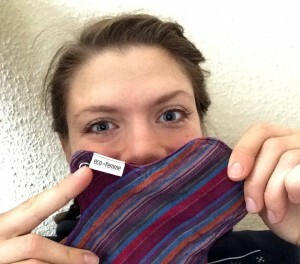 Being very inspired of their approach and their work, I wanted to support them –at least by ordering my cloth pads there. So when I was ordering a few cloth pads I came across the ambassador page of Eco Femme, another great initiative of this institution. As we talk about zero waste and healthier living in our workshops anyway, we immediately decided to become ambassadors, too. As our workshops are about zero waste, and there are also men, we don’t spend too much time talking about women’s hygiene products, but we always tell our participants about menstrual cups and cloth pads and always have them with us to show around. Because we think it’s a really important topic, we always invite people to ask whatever they want. 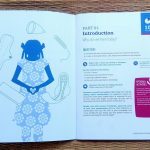 And that’s what we want every woman to have – another woman they can ask questions about healthier periods. 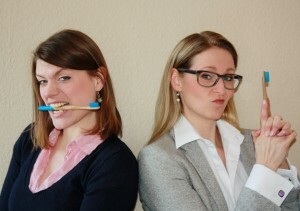 And as we ourselves found that in Eco Femme, we were very proud to become ambassadors, too. 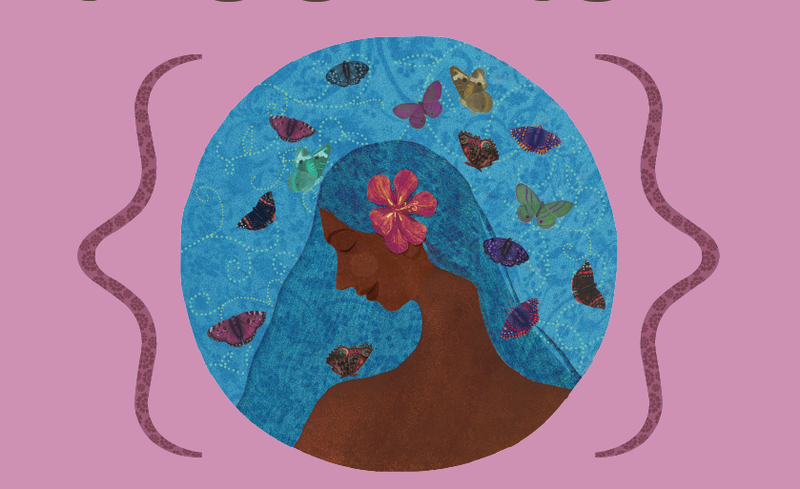 Thank you, Eco Femme, for your support for women all over the world!